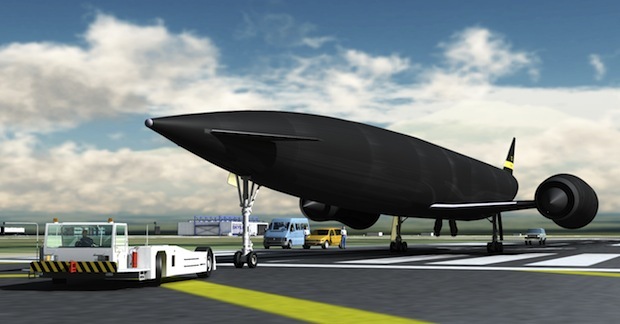 As NASA settles for a tried and trusted solution, Britain’s plans for a next-gen Space Shuttle inch forward with the Skylon: A black, future-tech spaceplane that absolutely looks the part. The Skylon has, in a way, been some three decades in development already–stretching almost back to the days of Apollo, curiously also the model for NASA’s future spacecraft. But European and British regulators have just now given approval to its design. 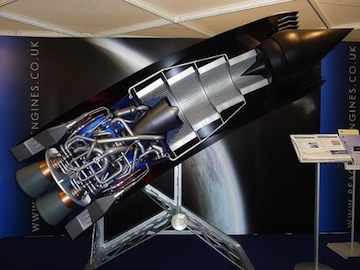 The European Space Agency panel, which had been evaluating it, was mainly investigating the rocketplane’s unusual engine, around which the entire wicked-cool craft is based. Now they’ve given it a thumbs-up, it may ultimately turn into the most sci-fi-looking spaceship we’ve ever flown. Back in the 1980s, just as NASA was gearing up its Space Shuttle efforts, British Aerospace and Rolls Royce put together their own spaceplane concepts. Unlike the Shuttle, HOTOL was to be a “single stage to orbit” vehicle, taking off from a runway like an aircraft, then powering itself into orbit–a completely different and un-rocket-ish solution from the British boffins. It didn’t work out, for numerous technical, financial, and political reasons and the EU, with Britain’s input, concentrated on its successful Ariane series of conventional rocket launchers instead. But the designers behind HOTOL’s novel engines kept the project ticking over, and eventually evolved it into Skylon. The Shuttle ended up being a fairly conventional rocket. Sure there’s that asymmetric design, with the winged Shuttle strapped to the side of the fuel tanks, and sure she’s probably the most sophisticated single machine we’ve ever built. But ultimately to get into orbit she has to push against gravity, burning millions of pounds of fuel in rocket engines. The liquid hydrogen and oxygen fuel sits in the iconic orange fuel tank, and has to be hauled halfway into space along with the Shuttle–one of the reasons those solid fuel boosters are strapped to it is to help with this task. Skylon does it differently. Her engines, dubbed Sabre, also burn liquid hydrogen and oxygen, but they actually breathe in that oxygen from the air itself–cooling it, extracting it from the other gases, and then compressing it before firing it through the engine much as the final stage of the Space Shuttle’s engines do. Why do this? It sounds complex, weird, and just like those white-coated bespectacled Brits to be eccentric in their thinking, but it has one huge benefit: You don’t need to haul thousands of pounds of oxygen with you. In one swoop, the entire spacecraft is simplified. No boosters (to leak and explode, as in the Challenger disaster), no external fuel tank to fracture or shed foam at hypersonic speeds (which led to the Collumbia disaster): Just a sleek single-bodied spaceship that looks like an SR 71 Blackbird spyplane and a Naboo starship from Star Wars got together in a pub over some good beer, nipped off to a hotel and produced a mutant baby. Skylon promises to be able to haul up to 15 tons of cargo into space, which could of course include a smaller interplanetary human-carrying spaceship among more normal satellite payloads. Because it’s an entirely re-usable design, with less fuel needed to be processed and stored (so the ground support is simplified), and without hundreds of tons of super-high-tech equipment thrown away on each flight, the cost of getting it into space could be many times cheaper–as low as $40 million a flight, compared to the current cheapest solution with SpaceX at around $60 million for Falcon 9 rockets. Will we see it soon? Skylon’s makers say the engines and aircraft body are possible using current technology. Now it depends on getting business interest, money and government backing to develop and test the engines. No mean feat. But if it all comes together (and it’s a huge if, but remember all those EU government payments), Skylon could become the Concorde of space.